Every since I can remember my son has loved Golf, starting at 4 years old he would just sit by the T.V. and watch the golf channel for hours. 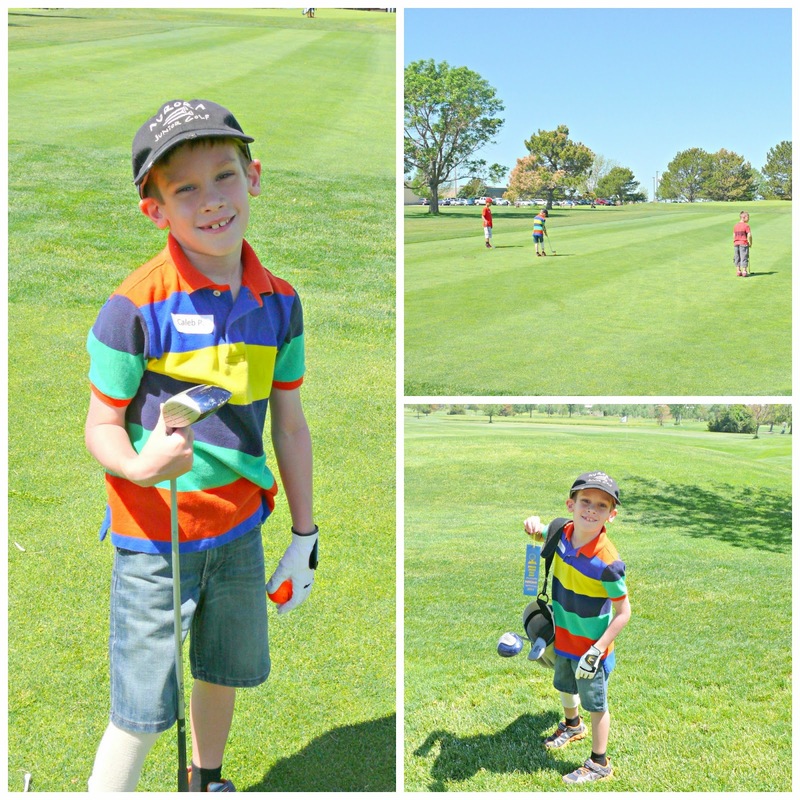 So this year, I decided to enroll him in his first ever golfing camp. Let me tell you something, this kid is good and was one of the best in his group. I even had a few instructors approach me and comment on his swings. Who would have guessed, kids a natural. We have since gotten him his very own golfing glove, clubs and bag, tees etc. He likes to drive, that's his favorite. We will deff. be signing him back up next summer!